Close your eyes and think of skiing. Chances are you’ll picture alpine skiing with brightly colored tourists zooming down pistes. But did you know that there are actually quite a few different types of skiing? Each with its own skis, bindings, and gear? When you’re starting out skiing, it’s a great idea to understand the different types and where you might end up in the sport. This means you can buy the right gear and practice the techniques that will get you further, faster. It’s an added bonus that when someone asks you if you ‘freestyle’, you won’t have to give them a blank stare. Here at The Adventure Junkies, it’s our job to eliminate those I-have-no-idea moments. 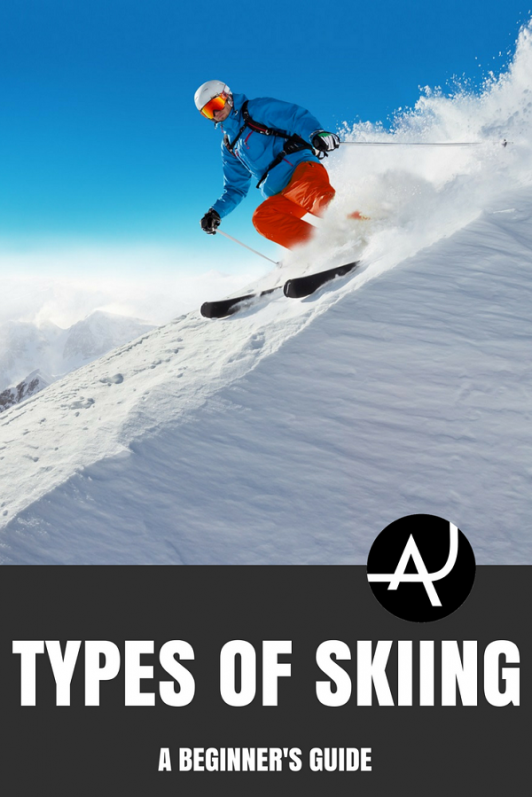 So read on to get a feel for the different types of skiing you could find yourself doing! Fundamentally, all types of skiing are the same. You attach your feet to two sticks and move through snow. But that’s where the fundamentals end. Some skiing is downhill, some is flat terrain and some is even uphill. Some skiing suits adrenaline junkies while other types are great for some casual exercise on a Sunday afternoon. The great thing about this varied sport though is that there’s a type of skiing for everyone. Alpine, or downhill, is the most common type of skiing. Alpine skiers are almost always in resorts or pisted valleys. They use chairlifts, gondolas and button lifts to reach the tops of pistes. Every night the pistes are groomed and the first skiers up the lift in the morning benefit from fresh slopes. Most skiers learn, to some extent, on piste. With graded runs, from easy to expert, learning to ski on piste means you can choose your gradient and have a clear run. All resorts have ski schools and ski hire shops, making it even easier to learn on piste. Alpine skiers use boots that clip into alpine bindings and are fixed at the toe and the heel. In a fall, the bindings automatically help to eject the boot to prevent leg injuries. Backcountry is a pretty wide-ranging term that covers all skiing that is in the mountains but not on piste. Ski-touring also comes under the term backcountry as does long-distance ski-touring hut-to-hut. Because backcountry skiing isn’t in a resort, it often involves hiking or ski-touring up mountains before skiing down lines that you choose yourself. Some off-piste skiers use resort chairlifts to get high up before ski-touring further outside of the resort to ski. Backcountry is a very flexible type of skiing because the entire mountain range is a skier’s play area. In fact, once backcountry skiers have assessed the avalanche risks, the only limitation is their means of hiking to the top. 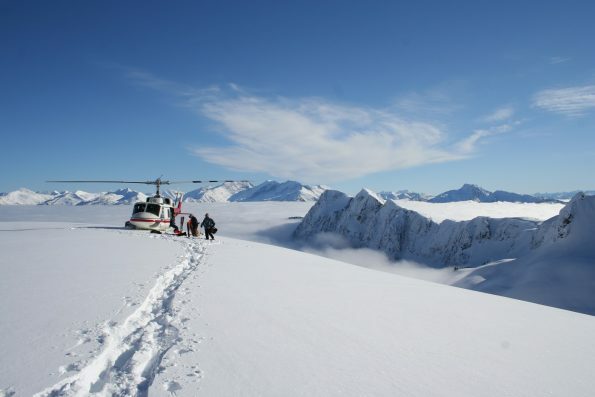 Heli-skiing is another way to reach the heights of backcountry regions. Backcountry skiers (or ski-tourers) mostly use alpine touring (AT) bindings or tech bindings. These bindings allow the heel to remain free while the toe stays attached to allow easy walking with skis. Ski-tourers ascend the mountain using their skis to walk with skins on the bases to grip the snow. Some backcountry skiers hike instead, carrying their alpine skis or go cat- or heli-skiing. Cross-country skiing (also called XC or Nordic) is a form of skiing that takes place on much flatter terrain than alpine and backcountry. In fact, cross-country skiers tend not to go downhill at all. Developed as a practical form of transport, some people still use cross-country skis to get from A to B today. There are two typical styles of cross-country skiing, a striding motion, and a skating motion. Cross-country skiing takes place in landscapes covered in snow and doesn’t need mountains, making it a great sport for those who don’t live near mountain ranges but have snowy winters. Cross-country skiers use long, elbow-height poles to propel themselves along and while it can be a leisurely sport, it can also be extremely tough. 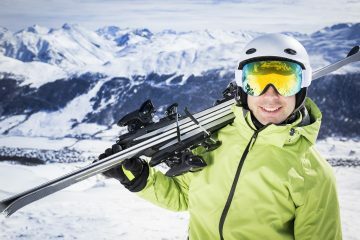 With specific cross-country bindings and boots that allow the heel to be freely lifted, the equipment for this type of skiing cannot be used for any other type of skiing. A relatively new type of skiing, freestyle is a much more playful sport. Using features on pistes, park and half pipes, freestyle skiers see the whole resort as their playground. With jibs, jumps, and rotations, freestyle skiers make everything look cooler. Freestyle is a natural evolution of alpine and park skiing and freestyle skiers have combined the two. Taking park skills onto the piste and even into the backcountry arena, this is a constantly evolving style that is growing in popularity. Freestyle skiers use alpine bindings and alpine skis, often with twin tips. This is where the tips and tails of the skis are turned up to allow skiers to go backward as well as forwards. French freestyle skier Candide Thovex has really helped put freestyle skiing on the map in recent years, both in resort and in the backcountry. Slalom and mogul ski racing is a common sport in Europe especially. Usually short race courses, plenty of ski towns have their own local teams and children start from a young age. Really a type of alpine skiing, race skiing is a fun weekend hobby and will certainly improve your turns and control. Slalom skiers use race poles without powder baskets and are seen sporting lycra and shin pads. With many similarities to ski-touring, telemark skiers also have a free heel, making ski-touring possible. The difference is in the downhill. Telemark skiers retain the free heel while going downhill whereas ski-tourers can clip their heel into their bindings, effectively turning them into downhill bindings. Not only do tele-skiers have a free heel, they also ski with one ski forward of the other with the back knee dropped and the back heel up. This technique is also how ski jumpers land. Tele-skiing is a different technique to alpine skiing as your heels can lift even when going downhill. Because it involves dropping a knee continuously, you’ll soon develop thighs of steel. 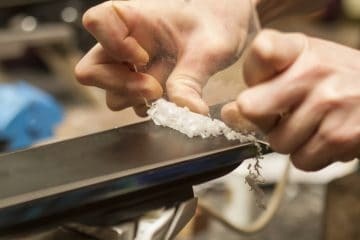 While the technique can be tricky to learn, once you’ve got it down it’s akin to nothing you’ve ever experienced. You’ll feel like you’re flying. While telemark skiing is on the rise, it’s still a fairly close-knit community and if you start tele-skiing, every other tele-skier on the slope will be your new friend. The great thing about there being multiple types of skiing is that they are all complimentary. 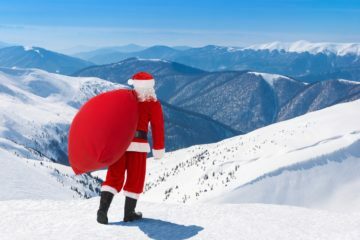 If you’re taking a holiday in a ski resort or ski town then, chances are, you can give most of them a go in the same week! Plenty of resorts have easy off-piste areas that are marked and ski patrolled. This gives alpine beginners a great opportunity to try a little off-piste or backcountry. Ski towns will often have ski-touring guides who will hire you all the gear and take you out ski-touring to areas within your ability. 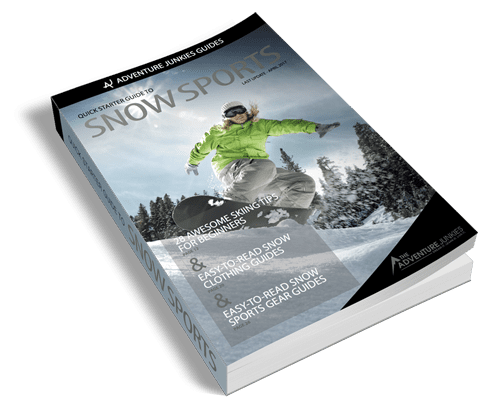 It doesn’t stop there either, with the rise of artificial snow domes, you can learn to alpine ski even if you have no snow within hundreds of miles. 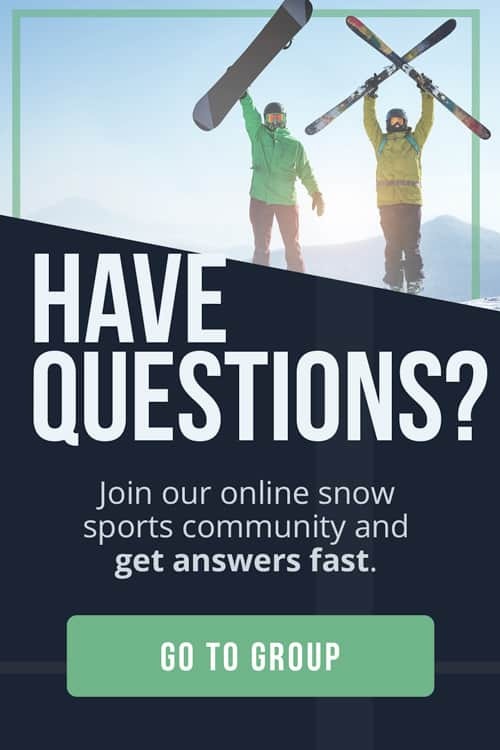 If you’re lucky enough to live in a snowy region then joining a local ski club is a great way to try different types of skiing and meet other skiers. Almost all skiers will either start alpine skiing or cross-country skiing as all other types of skiing branch out from these. The most important thing is to get clipped in and get started. Soon the whole spectrum of skiing will be your playground!